We use a wide range of primary and secondary sources to carry out our research into medieval life in Abberley. The following list is not exhaustive, but will give you some idea of the material we are looking at. If you want to suggest any other books, websites, documents or people we should consult, please do contact us. 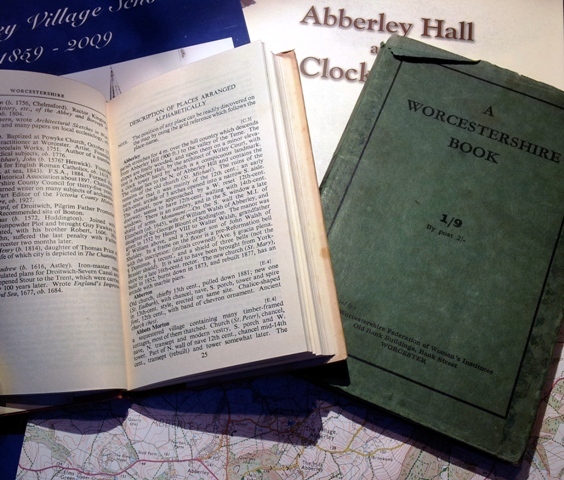 Worcestershire Archive & Archaeology Service holds many archive documents that will be useful to our project, some in their original form and others available to us in microform or online. We will definitely want to look at their collections of maps, electoral registers, commercial directories, local newspapers and parish records. We will also want to see the archive materials they hold relating to the Worcestershire Federation of Women’s Institutes, and local authority health and education records. We can gain free access to many of the resources of Ancestry.com, the Times digital archive and a number of other useful websites via Worcestershire Libraries 24-hour Access page. You will need your library membership number in order to get into these websites for free. The IGI (International Genealogical Index), available online as FamilySearch.org, is free to access from anywhere, and includes digital images of parish registers (baptisms, marriages, burials), some electoral registers and census returns. It is designed to be searched by name and is therefore difficult to search by place (although not impossible)..
British History Online is a digital library containing some of the core printed primary and secondary sources for the medieval and modern history of the British Isles. Created by the Institute of Historical Research and the History of Parliament Trust, it is intended to support academic and personal users around the world in their learning, teaching and research. We will add more research links as they come forward.